Last time, I introduced Open Space, an innovative approach to creating change in whole systems and inspiring the best in human performance. Also called Open Space Technology (OST), Open Space was created by Harrison Owen in the 1980s. It’s a self-organizing practice that encourages people to exchange information and ideas in informal settings. To start, Open Space participants gather in a dynamic opening event in what we call the marketplace. Anyone can offer topics they care about, want to reflect on, and learn about with others. You don’t have to be an expert, guru, or even highly experienced or knowledgeable about the topic you convene. During the marketplace, participants create a board that lists all the session topics people want to talk about, with time slots and locations for each proposed topic. Then each participant directs her own choices. Groups convene sessions around these topics and record their findings. 1. Whoever comes is the right people. 4. When it is over it is over. There is one law: the Law of Mobility. If you find that you’re not learning or contributing, go somewhere else. It’s your choice. As a result, some participants flit from activity to activity. They’re like bumblebees cross-pollinating all the sessions. Others use the Law of Mobility to go off and sit by themselves. They’re like butterflies, creating quiet centers of stillness and beauty. You often see posters at OST events of butterflies and bumblebees, giving you permission or an invitation to act in those ways. Does that sound touchy-feely? In reality, it’s a lot of work. And it’s energizing and exhausting all at once. OST works a lot like the new research on motivation from author Daniel Pink, incorporating autonomy, mastery, and purpose. 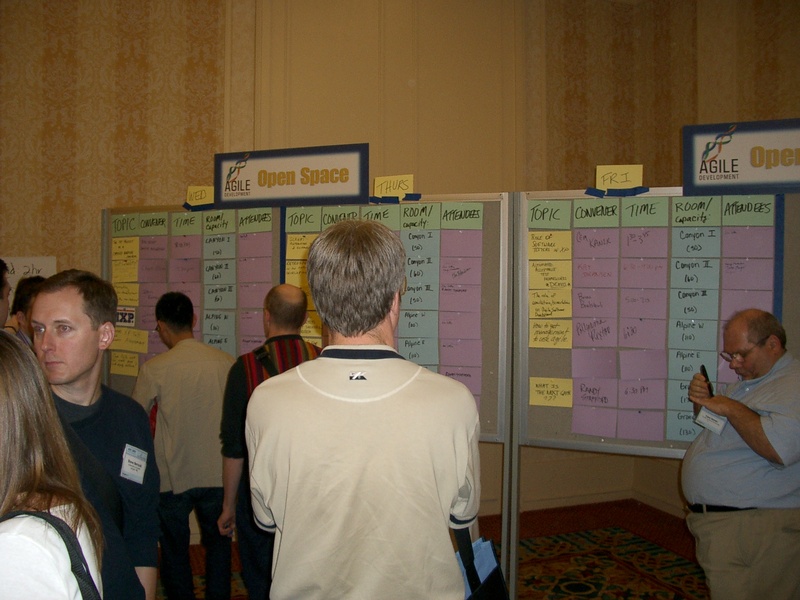 I was Open Space facilitator at the Agile 2003 and Agile 2005 conferences. 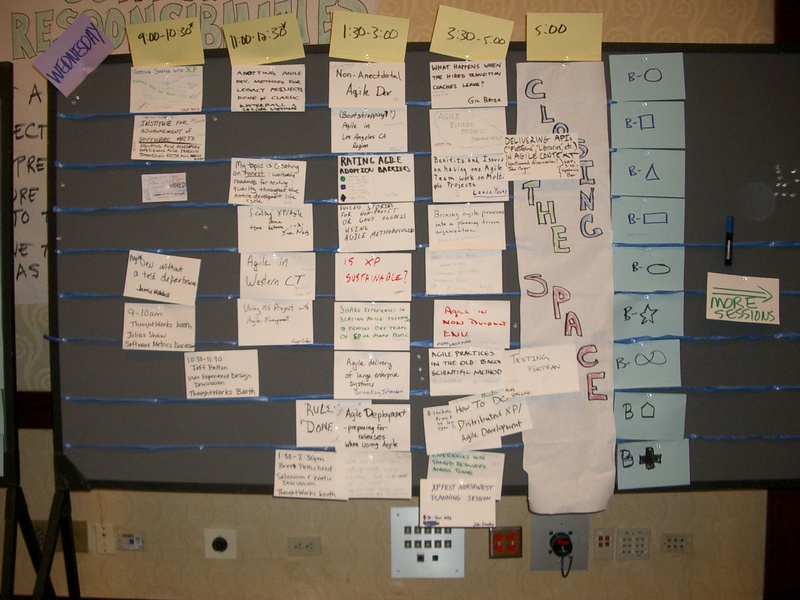 Here are some photos from Agile Development 2003. That conference is the last time we did “true” Open Space at the Agile Development conference. There were no other sessions running during the marketplace, and most of a day was left for OST sessions. (Today, an “Open Jam” is used, with space for people to convene sessions at any time, roughly concurrent with planned sessions. There is no single marketplace or “closing” event.) 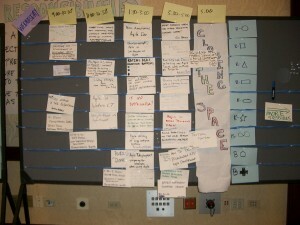 Here are some photos from that large OST I facilitated at Agile Development 2005. To get a flavor of sessions convened at one of our Retrospective Gatherings, look here. 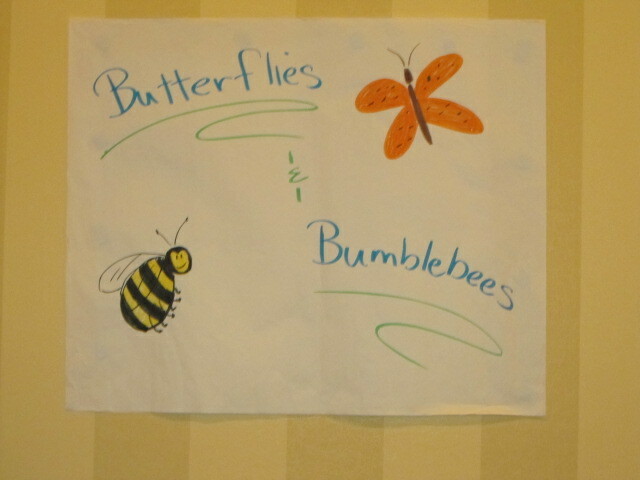 And see the visual story I took from the recent Agile Coach Camp in Raleigh, North Carolina. How Might You Use Open Space? If you need deep engagement in the challenges and opportunities surrounding a particular topic, consider using Open Space. For example, you might gather your team members to solve the challenges of implementing agile. Or you might develop a business analysis community of practice. Or you might seek to enhance team members’ skills and capabilities in determining business value, finding ways to organize for optimum customer satisfaction and quality, or retrospecting a large development effort. The uses of Open Space are many. So if you want to bring out your best, and find the best in others, consider using the Open Space technique to capitalize on the wisdom of your colleagues.